Readers get a year’s worth of curated wine suggestions and food pairings from the Seattle author/ Master of Wine. Recommended wines are from all over the world, with one white, one red, and one other (like a rose or sparkling) each month. This will be used season after season. Filled with humor and knowledge, it will lead to great meals for years to come. A great gift for foodies! Too much wine? Not last night, but at the wine store where it's bewildering to choose something good. 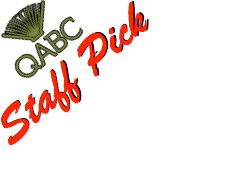 In this friendly guide, a wine expert curates a shortlist of 36 bottles to try (3 varieties per month--a red, a white, plus something else like a sparkling or rose) and explains in an accessible, humorous style what and who makes each worth drinking. In addition, 30 recipes for monthly meals connect seasonal food to wine, composing beautiful sensory experiences. This book proves you don't need an encyclopedia when a handpicked selection delivers a world of wine. Paul Zitarelli is a Harvard-trained applied mathematician who abandoned that path for a life in wine. He is one of a small number of Americans to hold the WSET Level 4 Diploma (precursor to the Master of Wine) and applies that knowledge as a wine merchant in his retail business, Full Pull Wines. He reaches his customers weekly, including 5,000 subscribers, via a much-read newsletter that offers engaging stories of new wines on offer. In France alone, never mind the rest of the world, there are hundreds of options. Paul Zitarelli offers a simple, global solution. Focus on just three wines a month: a red, a white and a wildcard like rosé or a sparkler...Each month's suggestions are accompanied by a couple recipes that quietly affirm that Zitarelli's good taste extends beyond the bottle...As someone who's been overwhelmed by choice, this monthly trifecta strikes me as a great idea. Where 36 Bottles really clinches it is in the writing—both funny and smart—with lines like this: "Ultimately [using sherry in cocktails] reminds me too much of mixing liquid Tylenol into applesauce to get my daughter to take her medicine. If it tastes good in the first place, why do we need to hide it?" "Zitarelli is a Harvard-trained mathematician who became a Seattle wine merchant (Full Pull Wines) and wine writer. This new book from Sasquatch suggests three wines to drink each month, complete with the history of each and a seasonal-inspired recipe." "A proponent of seasonal wine drinking and eating, Zitarelli’s approach was to keep it simple; each chapter representing a month of the year with a handful of timely recipes and three wine recommendations — one white, one red and one “other” such as sparkling, rosé or a dessert selection. The wines recommended steer clear of specific producers and vintages but remain general for the sake of accessibility, like Oregon Pinot Noir or Assyrtiko from Santoroni." 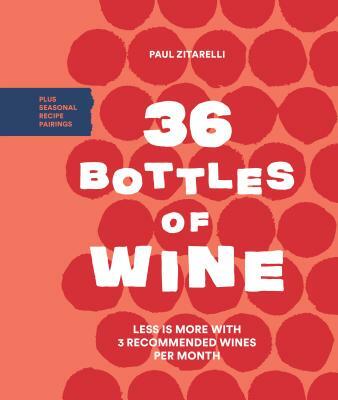 "36 Bottles takes a unique approach to exploring wine by writing about and recommending three bottles each month: one red, one white, and one other (dessert, rosé, sparkling, etc)...Much of the enjoyment of 36 Bottles centers around Zitarelli’s ever-engaging writing. He has a talent for turning a phrase and also a comedian’s eye...36 Bottles occupies a unique space as both wine book and cook book. While this makes it a bit difficult to figure where to place it on the bookstore shelf – to the extent such things still exist – anyone with an interest in wine or food will find much to enjoy. If you enjoy both, so much the better...Throughout 36 Bottles I laughed, learned, and found myself excited about wine all over again. Oh, and I got really, really hungry. Who could ask for more?"